HOPE DEALER In Amishland: Summer nights! Last week I camped out in the back yard with my kids and my back still hurts! When did I get old? 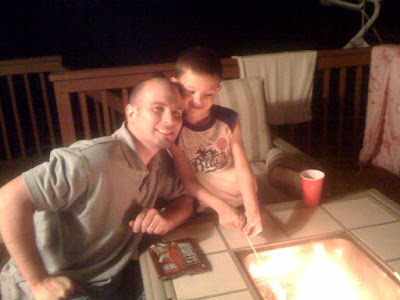 Last night we made some smores and had a blast. I love the summer time and I can't believe that it is July 1st already, how about you? My goal this summer with my family is to be bored. That's right, BORED. Remember when summer lasted forever and you just wanted to grow up and no longer be bored. Now that I am grown up I want to be bored. I want to stop doing so much stuff, running from place to place, and just hang out and experience life. I want to live stories with my kids that I'll tell years from now. Doesn't that sound better than being stressed and busy. I hope to have a boring summer and that you have one too!